Less than six weeks before Christmas, I am getting really excited. I am slowly getting ready, I’ll get there at some stage, I always will, as we all do. 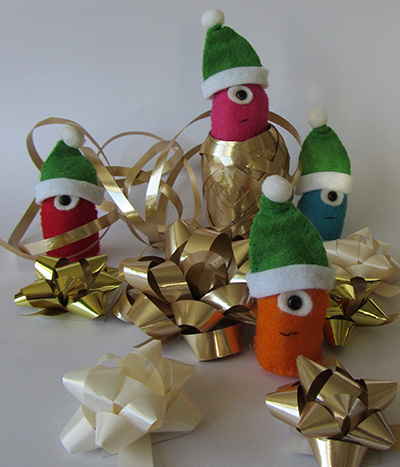 Today I am updating you on my shops activity: latest Christmas orders and shop closure. Both of my shops (La Creature and you and La Creature Boutique) will be closed from Friday 21st December at 12.00 noon and will re-open on Monday 31st December. It means that orders placed during these days will only be processed and ship on my return, that is the 31st December. Rest of the world: 6th December. Above dates are based on the delivery times estimated by Irish postal service for standard post. This can be affected by unforeseen delays of all kinds and unfortunately there is no guarantee the item will be delivered in time. Ho ho ho, I love the ticking of this inner Christmas clock of mine. I’m off to make some more Christmas goodness, talk to you later!